Ocean County Soil Conservation District regularly works with local and regional partners to coordinate and collaborate on numerous natural resource issues, concerns, projects and programs. We welcome opportunities to leverage resources, share expertise and assist in appropriate initiatives and projects that benefit not only the agencies and organizations involved but, more importantly, the natural resources of Ocean County and the Barnegat Bay Watershed. Together we accomplish more than we can alone. The Ocean County Soil Conservation District drafted the Communication Plan for the Barnegat Bay Partnership which provides a comprehensive approach to “Connecting the Pieces” related to Education and Outreach and integrated into the BBP strategic plan. 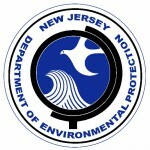 The New Jersey Department of Environmental Protection (NJDEP) manages New Jersey’s natural resources and plays a crucial role in solving pollution problems. With a staff of over 2,900 employees, NJDEP is a leader in innovation environmental management strategies. 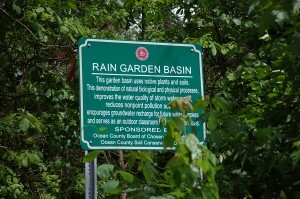 The Ocean County Soil Conservation District has partnered with NJDEP on numerous projects. 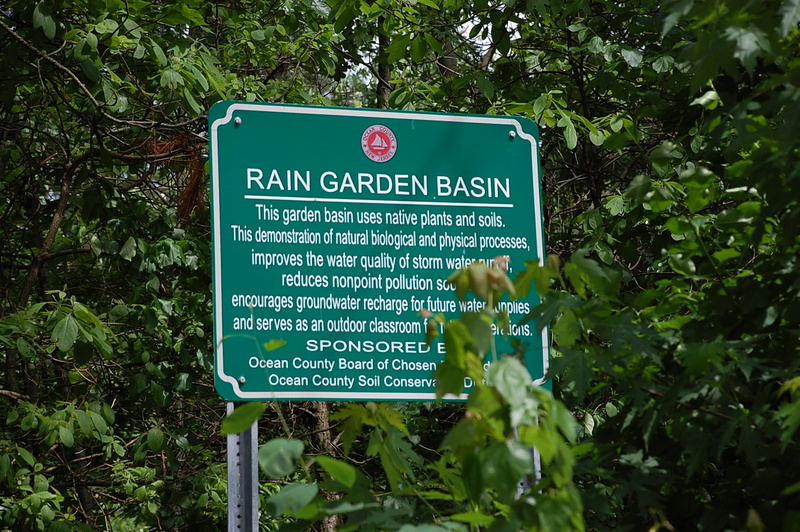 Through an NJDEP grant, the County partnered with the Soil Conservation District to restore impaired stormwater basins and create attractive and efficient “Rain Gardens”. The soil is loosened to reverse the compaction and mixed with compost to increase the organic matter in the soil. The basin is then planted with wet-tolerant native trees and plants and will eventually revert to an attractive natural state through succession. The goal was to develop guidelines for planning, design and construction that would prevent compaction and the need for future restoration. Healthy soils are an important part of managing stormwater and maintaining water resources in the Barnegat Bay Watershed and Estuary. The Department of Parks & Recreation now safeguards more than four thousand acres of land which is dedicated to the enjoyment of our citizens and the conservation of open space. This impressive acreage includes sixteen parks, four conservation areas, and two golf courses. The Ocean County Soil Conservation District has partnered with the exemplary staff of the Parks Department on a number of educational initiatives and workshops, as well as soil restoration activities on various properties.